Sun Bingo Mobile | Claim Your £30 Deposit Bonus Here! 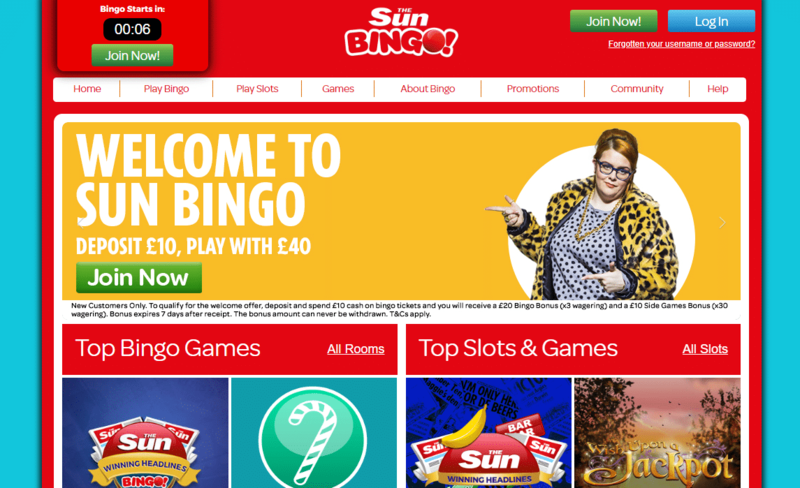 Sun Bingo has been online since 2006, and oddly enough, it has only just released its mobile version, but after trying and testing the site, it was well worth the wait. The site is operated by industry leader Gamesys software, is compatible with all mobile devices, and the touch-screen technology makes it easy to navigate, the graphics are top quality, and all the top games of the online site are available here too. Not surprisingly, it’s designed in the standard tabloid colours of red and white, but other than that it’s a good layout with no other reference to its parent publication! 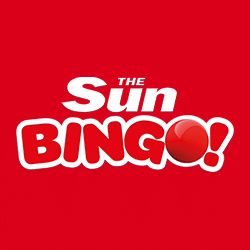 If you want to check it out, download Sun Bingo from an app store, or search for its URL in your mobile browser and bookmark the page for ease of access if you want to use it in the future. You will receive a rewarding 300% first deposit bonus, which means when you fund your account with just £10, you will get £40 to play. To sign up you just need to follow some simple instructions, and you can have a nosey around the site, and enjoy the free gameplay before making a deposit, and if you do, most major payment types are accepted. Deposit £10 today and play with £40. You’ll find all the fun of the Bingo hall here, with 90, 80, and 75 ball options available to play on the mobile version, and they have really state of the art animation with great sound effects too. There are plenty of free options, especially if you have VIP status, and you’ll also find BOGOF games most days, but with cards starting from just 1p, you don’t have to be Rockefeller to play here anyway. Slots aren’t the main focus on this site, but there is still a decent selection to play when you’re on the move – and they are really good viewing quality too. Whether you’re a Mystic Meg fan, or Deal Or No Deal is more your thing, there’s a Slot for every budget, with a good range of prizes – but the highlight is The Sun Slot, offering up to 10,000X your investment! New customers only. Registration required. Players must deposit and spend £10 cash on bingo. Min £10 deposit. £30 bonus includes £10 Side Games bonus which must be wagered x 30 before withdrawal and £20 bingo bonus which must be wagered x3 before withdrawal. Side Games Bonuses can only be spent in the Side Games section of the Slots Page or the Top Slots section in the bingo lobby. Bonus expires 7 days after receipt if not used entirely. Promotion ends 23:59 on 14/05/2019. BeGambleAware.org. Please play responsibly. Full T&Cs Apply. Visit Site – Claim Bonus Here! I’ve always liked the desktop version of Sun Bingo, so was a bit apprehensive while waiting what seemed like ages for their mobile one to get up and running, but there was no need because it’s just like a scaled down version with the same excellent gameplay and prizes. Although the welcome bonus isn’t up there, it more than makes up for it with free games, lots of entertainment, some really cool promotions, and let’s not forget the prizes – so you can win while having fun in the sun!